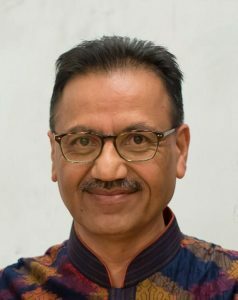 Late Dipak Tarachand Kachra Shah (Harania) | Oshwal Association of the U.K.
Late Dipak Tarachand Kachra Shah (Harania) (14th August 1957 – 17 April 2019) formerly of Limuru, Nyeri, Mombasa, Kenya and recently Edgware, London. Gaam – Kanalus, Gujarat. Husband of Trusha Dipak Shah. Son of late Tarachand Kachra Shah and Puriben Tarachand Shah. Son in law of late Devchand Pethraj Karania and late Ratanben Devchand Karania. Father to Urvi Amit Savani and Jilna Ravi Shah. Father in law to Amit Savani and Ravi Shah. Grandfather to Neive Amit Savani. Brother of Ratilal Tarachand, Mina Dhiraj Shah, Dinesh Tarachand, Mukesh Tarachand. Brother in law to Anila Ratilal, Dhiraj Meghji Shah, Mina Dinesh Shah, Ranjan Mukesh Shah. Brother in law to late Prafula (Saroj) Malde, Sudha (Anju) Chandrakant Shah, Dinesh Devchand Shah, Ritish Devchand Shah. Friday 19th April-from 8pm to 9.30pm.